The Ultimate Package for learning to Edit and Digitize! 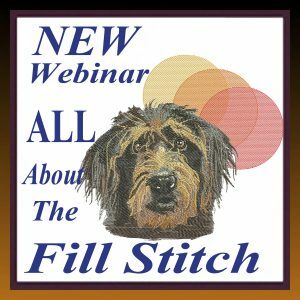 One year of Training Featuring Balboa’s award winning videos, and monthly Question and answer Sessions. Access Online to ALL of Balboa’s Existing Videos, and ALL new 2019 videos for one full year. 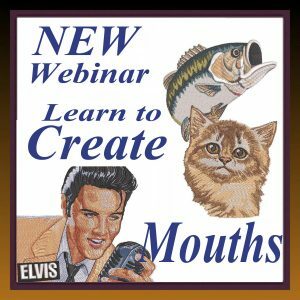 That’s right $3984 of Balboa’s award winning Videos, Plus All of the Upcoming Webinars and Videos done in 2019 (Another $1800), Plus monthly Question and Answer Sessions as you are Learning! Accessible online in Your Balboa Account 24/7. Watch them whenever you like on almost any device for one full year. 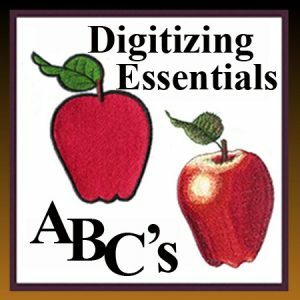 On purchase you have access to our monthly Q and A Sessions, our monthly Webinars, and 20% off on any One to One personal Classes! PLUS… All of Balboa’s Featured Videos! 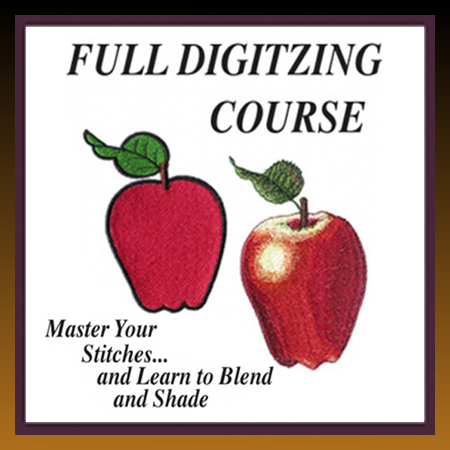 The Ultimate Package for learning to Edit and Digitize! 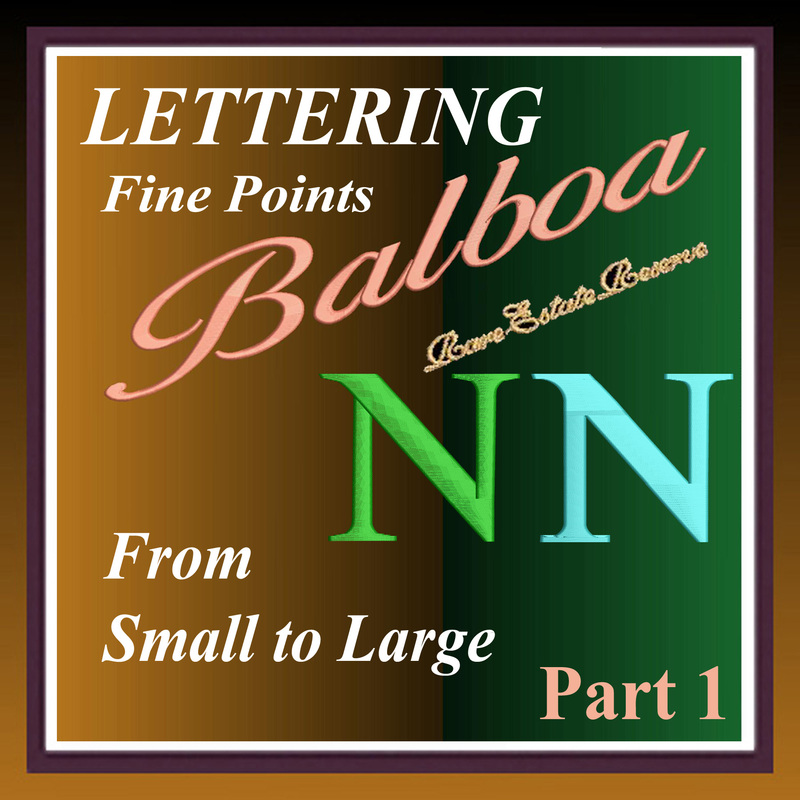 Watch as your Balboa Video Library grows! NEW Balboa Bits will be arriving Soon! 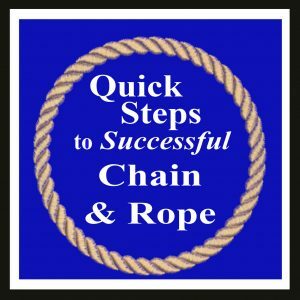 Our videos are chock full of important tips and techniques, however, when you want to find just one thing that you need, you have to sort through to find it. So...we are separating those nuggets out as separate Videos to make it easier for you. 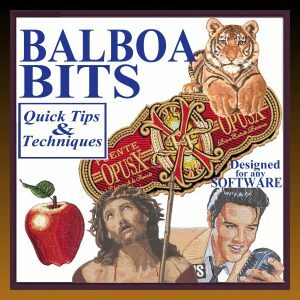 Our Balboa Bits are 10 minute videos that will give you an in depth answer to problems you may have! 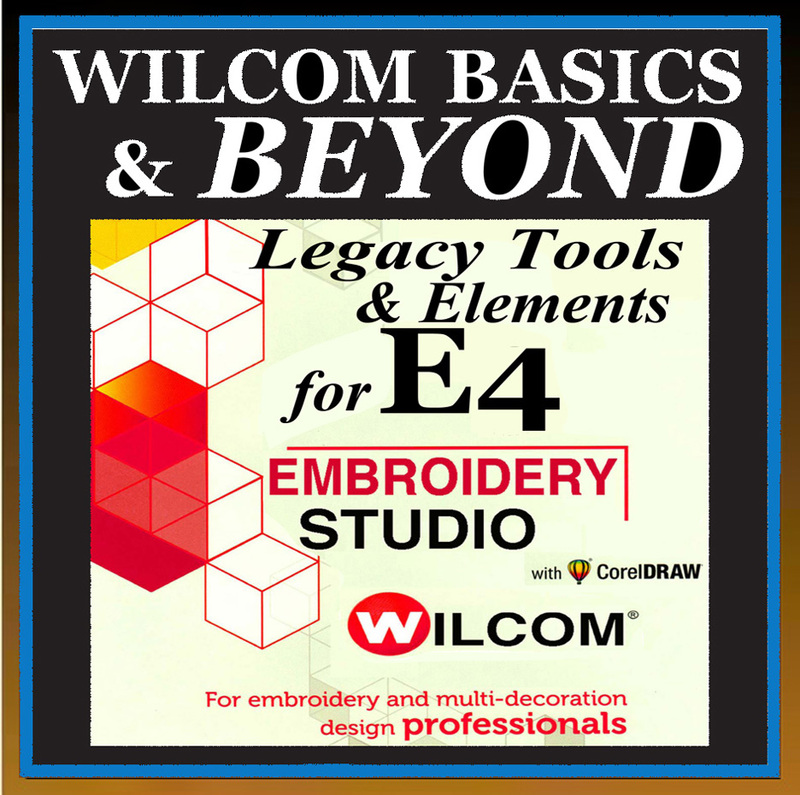 Taken from Questions you have asked, Answered through techniques that Balboa has developed over 35 years, Balboa's Secrets that have been shared with the Industry. 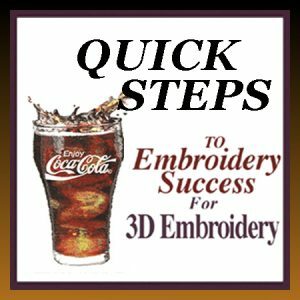 Secrets that are responsible for Balboa being inducted into the Embroidery Hall of Fame, Secrets that have given Balboa the knowledge to produce the best Designs in the Industry. 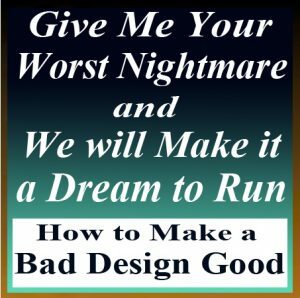 Secrets that you will find easy to accomplish no matter what software you have! 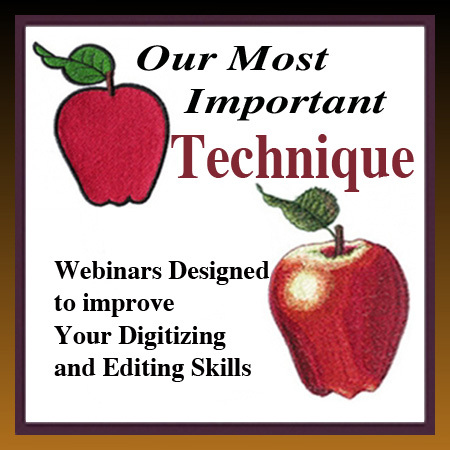 Take the frustration out of Digitizing and Editing. 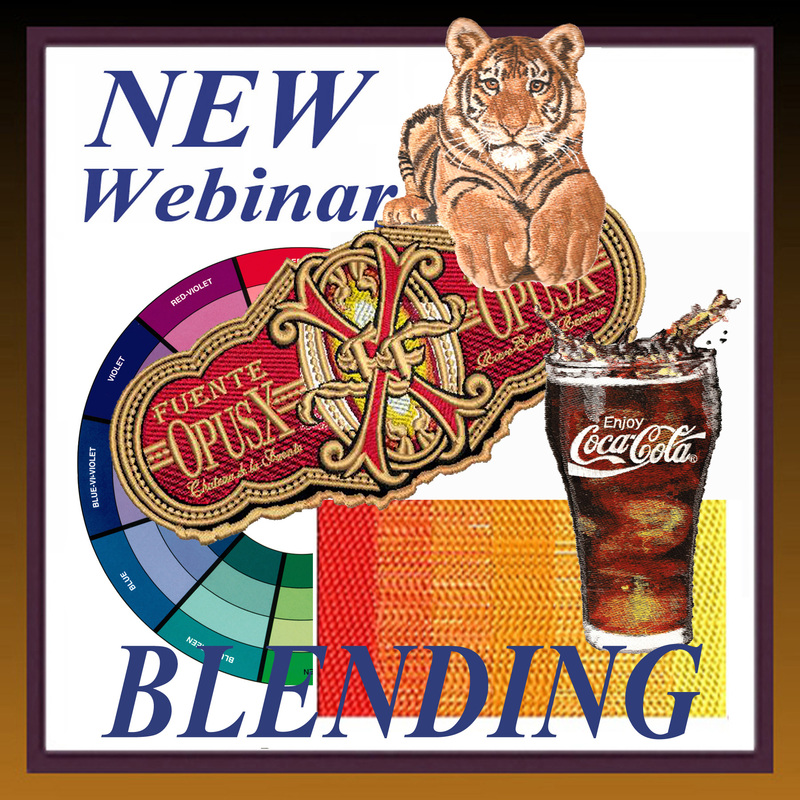 Click, Watch, Apply and enjoy! Buy all of the videos on DVD for $500. (When we have completed them. On purchase you have access to our monthly Q and A Sessions, our monthly Webinars, and 20% off on any One to One personal Classes! 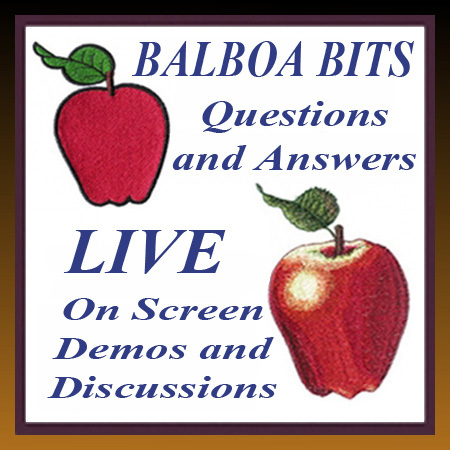 PLUS… All of Balboa’s Featured Videos! The Ultimate Package for learning to Edit and Digitize! Put Balboa on your 2019 Calendar and Join us: One Webinar each month, Live Question and Answer Sessions, Trade Shows, and more! 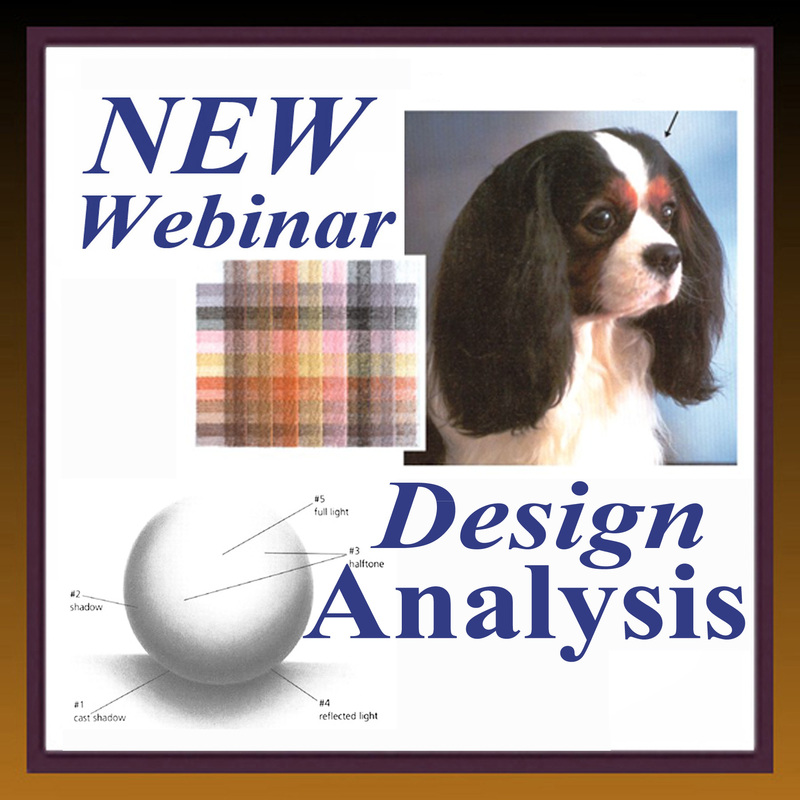 Each Webinar will be recorded. 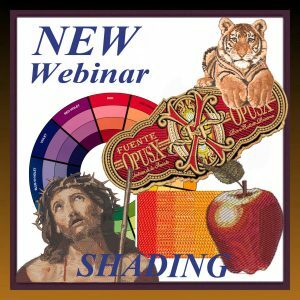 In the Webinars each month, you will learn techniques for your corporate logos. Techniques that will make your designs look better, run better and stand out, and for those of you who are doing realistic designs, and need help in transferring art into stitches, you will find that the techniques taught will work on your more creative designs. 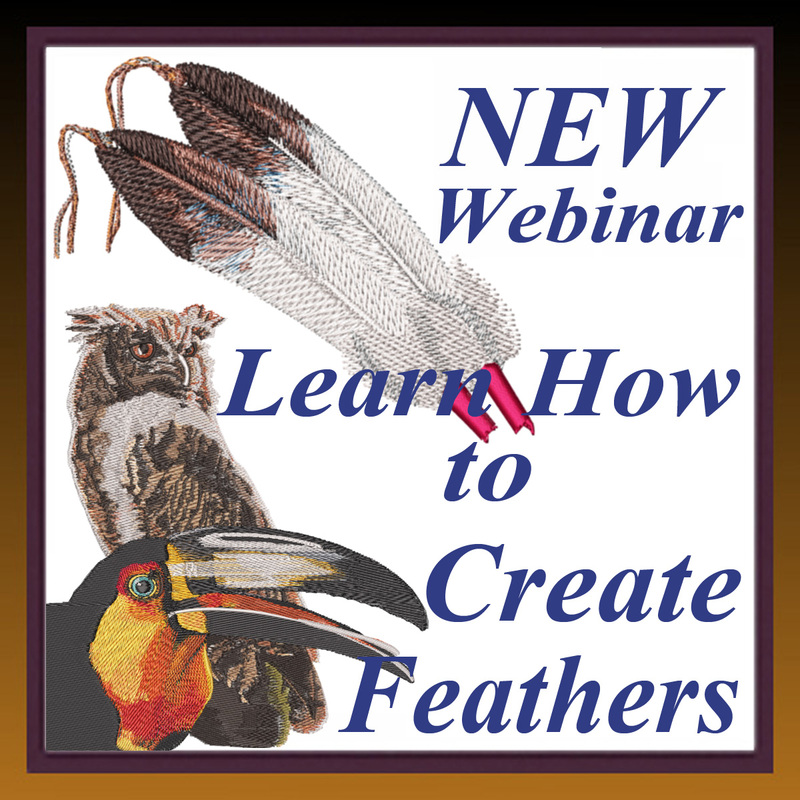 All webinars will be $75, this includes access to the recording of the Webinar. Attend, ask questions, and watch while the answers unfold. If you cannot attend, you will have access to the Webinar recording. 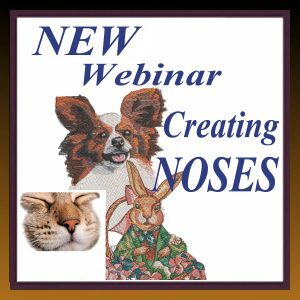 Monthly Live Q and A’s. 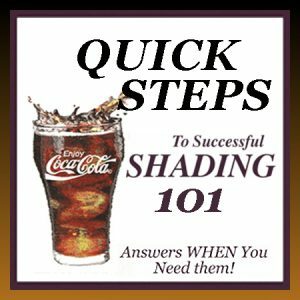 Ask Questions and Share answers. A great way to learn what you need to know and to make sure you understood the other Webinars you have attended. 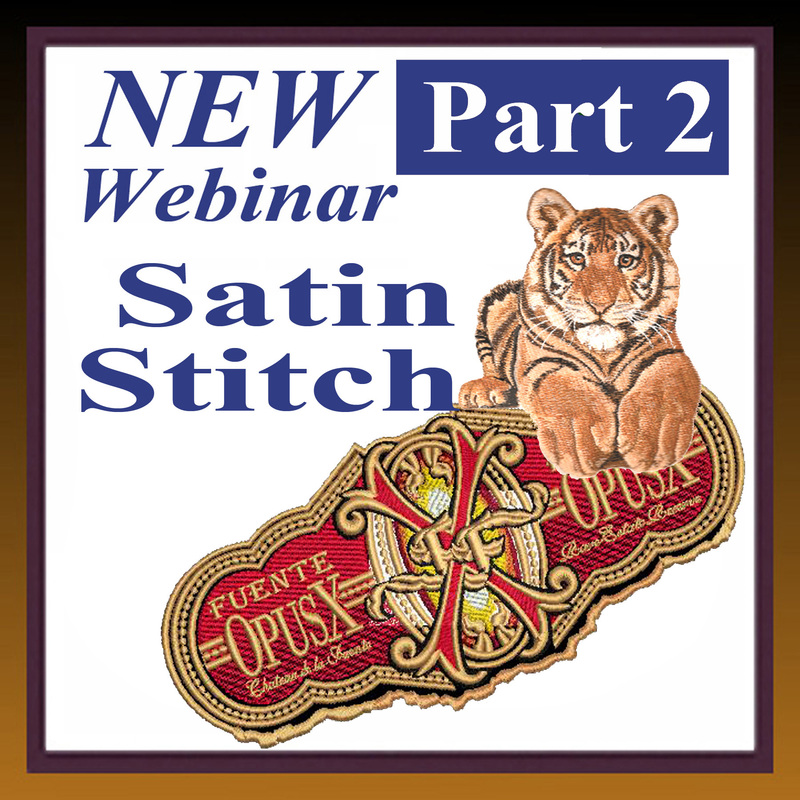 Each month we will be conducting a live Question and Answer Session. Send in your questions early, or ask when you arrive. 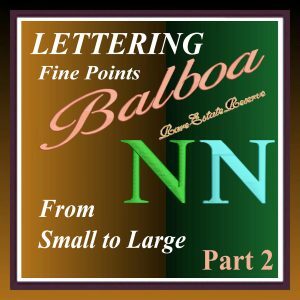 Get answers from others who have faced the same problem, and from Balboa as well. This too, will be recorded. Trade Show Seminars, Locations Dates and Tmes of Lee’s Seminars are also included on our Calendar. Sign up with the Trade Show Company and add to your experience. 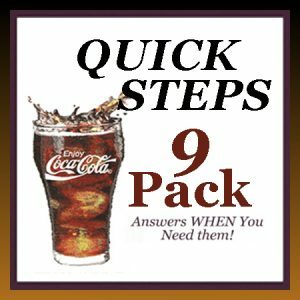 Jan 8th: Live Q&A: Ask Questions, Share Answers! 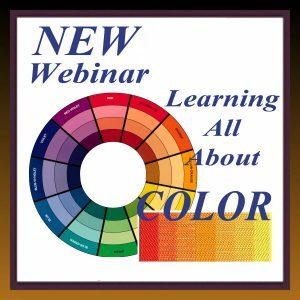 Jan 29th: Webinar on Getting Started: Learn what you need Learn the Essentials, and learn some extra Techniques and Tips to make your designs standout. 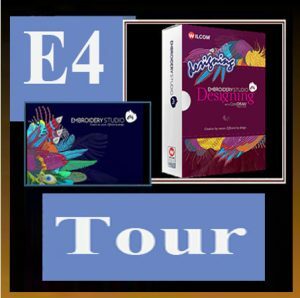 February 12th: Live Q&A: Ask Questions, Share Answers! 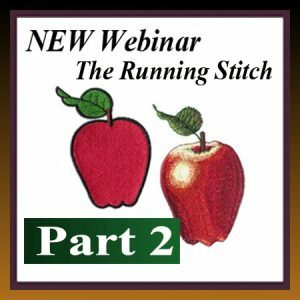 February 26th: Webinar On Running Stitches Part 2, the First Group of Stitches. 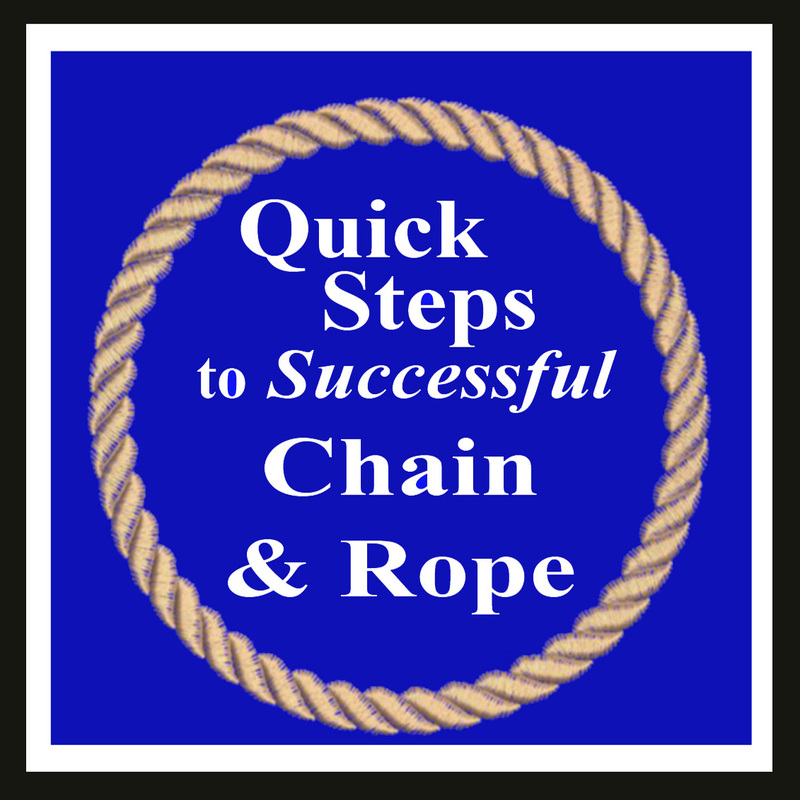 Learn How the simplest Chages can make the Greatest Differences. Learn how to make that sigle row of stitches show in your designs without duplicating it, or using your bean or triple stitch. 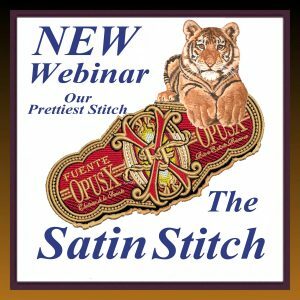 March 12th: Live Q&A: Ask Questions Share Answers! 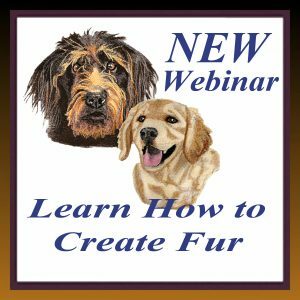 April 16th: Live Q&A: Ask Questions Share Answers! Balboa Bits: You will see that the 10 minute snippets are being added to your Balboa Account…an easy way to review when you need an instant answer! 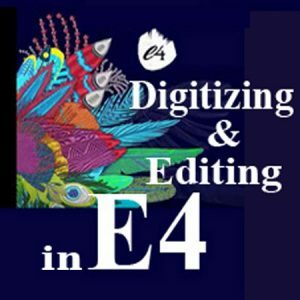 May 7th: Live Q&A: Ask Questions Share Answers! 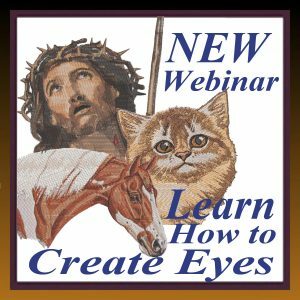 June 3rd: Live Q&A: Ask Questions Share Answers! July 9th: Live Q&A: Ask Questions Share Answers! 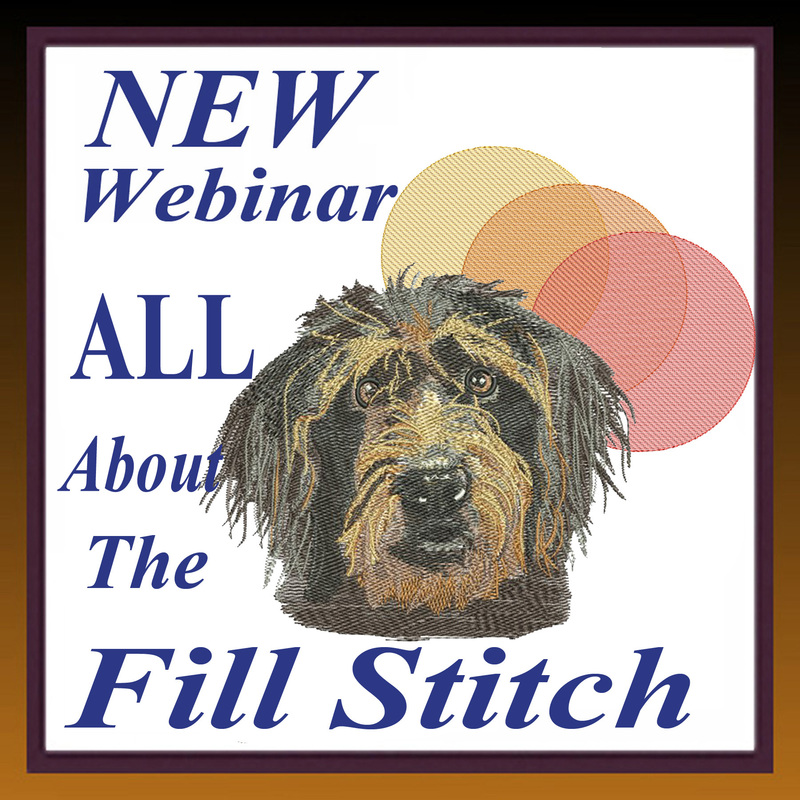 July 31st: Webinar on Outlines Learn how to make them line up, learn when you can delete them! August 6th: Live Q&A: Ask Questions Share Answers! September 10th: Live Q&A: Ask Questions Share Answers! 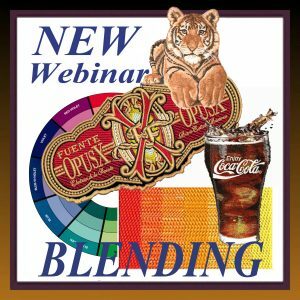 September 24th: Webinar on Blending: Blending made simple, Learn the Automatic way and Learn to use your layered Fill to Blend the colors you need. October 9th: Live Q&A: Ask Questions Share Answers! 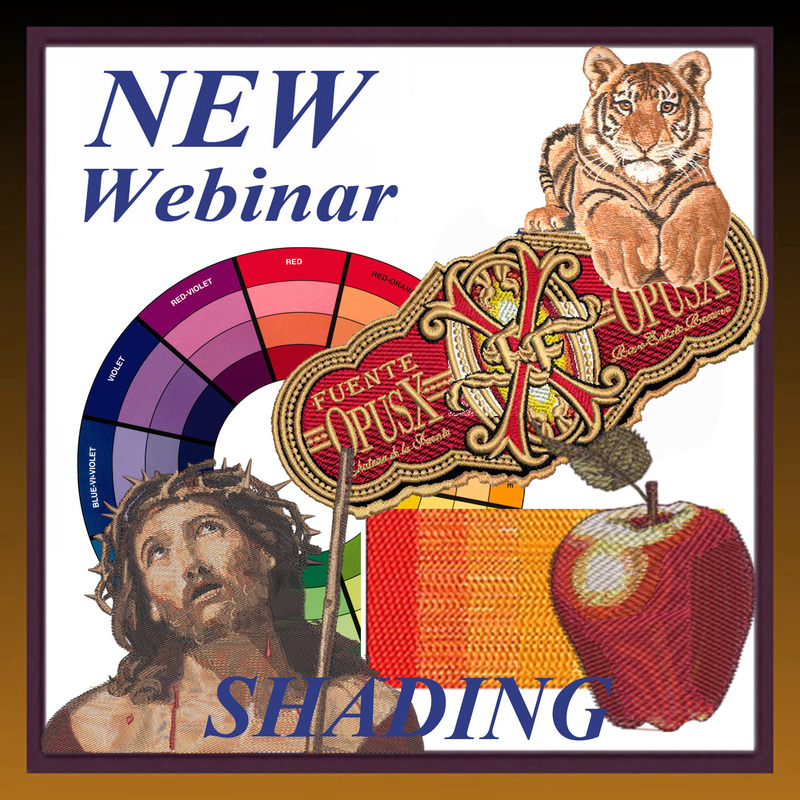 October 22nd: Webinar on Shading: Learn what colors go where to create the image in front of you! 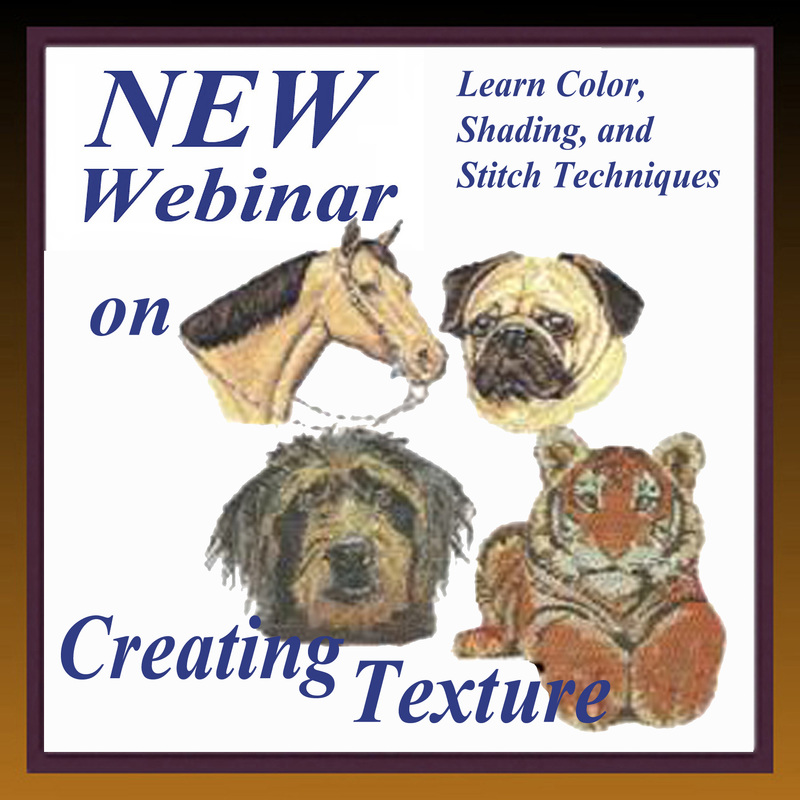 Learn to Analyze your design for depth, shadows, type of stitch. November 5th: Live Q&A: Ask Questions Share Answers! 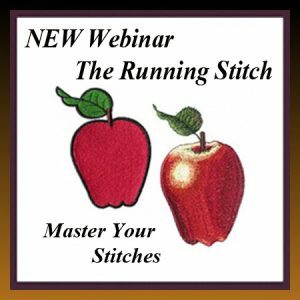 November 19th: Webinar on Texture: Learn to let your stitches do the work for you! More Balboa Bits!December 3rd: Live Q&A: Ask Questions Share Answers!